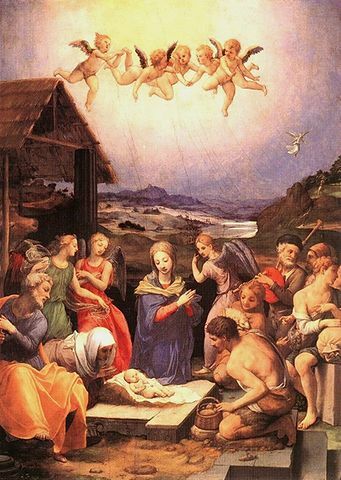 Angels We Have Heard on High is a popular Christmas carol, originally in French: Les Anges dans nos campagnes ("The Angels in our countryside.") We've chosen the 1862 English translation by Roman Catholic Bishop, James Chadwick. The Latin in excelsis Deo means "Glory to God in the highest." Sing "Gloria" with rising and falling, sustained "o": Glo-o-o-o-o-O-o-o-o-o-O-o-o-o-o-O-ri-a. Enjoy! Add Angels We Have Heard on High to your own personal library.